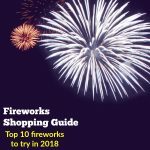 Adam Keeley, owner of Pinnacle Fireworks, LOVES all things fireworks, so we asked him to put together a Top 10 list of his best fireworks recommendations for 2018. As moms, we know how frustrating it can be to go to a fireworks tent and not know which fireworks to choose. The packaging doesn’t always explain what that firework will do once the fuse is lit. Which big fireworks are worth the price tag? Which ones are the most budget-friendly but are still fun for kids? 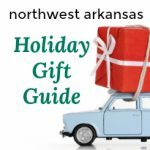 So here’s a handy shopping guide with expert recommendations on how to get the most “bang for your buck.” You can find all of the items below at Pinnacle Fireworks, right off Interstate 49 (Exit 70) by the Walmart Neighborhood Market. The number one frustration I hear from fireworks shoppers is, “I don’t know what any of these fireworks do! 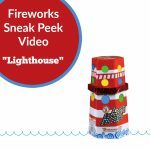 How do I know what to buy?” Over the past few years, fireworks manufacturers have gotten better about putting performance descriptions on their products. However, sometimes the descriptions leave something to be desired. So, unless you know the difference between “Titanium Crackle Rain” and “Variegated Peonies with Lemon Pistils,” you might as well be reading an alien language. If you shop at Pinnacle Fireworks, our staff will answer all your questions and help you choose items to fit your show and your budget. But in case you accidentally find yourself in some other fireworks tent, here are a few tips that will help you shop for fireworks with the confidence of a true Pyro Parent! There are two main categories of fireworks: ground effects and aerial effects. Whether you’re shooting fireworks with your kids or on your own, it’s important to know the difference. An easy way to tell whether an item contains ground effects or aerial effects is to read the warning label found on the item. Ground items will read “Emits Showers of Sparks,” while aerial items will read “Shoots Flaming Balls” or “Shoots Flaming Balls with Reports” (“Report” is the industry word for “explosion,” meaning the item will burst into a colorful explosion or simply “pop” or “bang”). Some labels will give even more detailed warnings, such as “Spins on Ground and Shoots Upwards.” Understanding these caution labels will give you a general idea of what to expect after you light the fuse. Some examples of ground items are lower-cost kid favorites such as smoke balls, tanks, and fountains. But be sure to note that some fountains can shoot sparks up to twenty-five feet in the air. Aerial items can reach much greater heights (over 150 feet for some larger fireworks). Examples of aerial fireworks include reloadable artillery shell kits, roman candles, and multi-shot cakes. So before you go shopping, you should have a general idea of the type of fireworks show you want to create – from a dialed-down driveway display to a rock-the-block pyrotechnic performance. Like most folks, you’ll probably want something in the middle, which means a nice mix of ground effects and aerial fireworks that won’t break the bank. This list focuses on ground items, but it also includes a few aerial fireworks for those that want to take their show to the next level. Items 1-5 are some great inexpensive items that are a good value, and items 6-10 are my personal favorites from a few different categories. 2) The price at the Pinnacle Fireworks tent — where every item is 50% off retail. This tiny fountain only has one effect – crackle. And it has a duration of nearly 3 minutes! The crackle can get pretty intense, so if your kids don’t like the rapid popping sound of crackle, you may consider skipping this one. Think of these awesome swords as a mix between a small fountain and a giant sparkler. I love this item because, since the colorful sparks emerge from a small fountain at the tip of the sword, it keeps the sparks over two feet away from the person holding it. It starts as a red fountain, switches to a silver fountain, and then produces red, yellow, purple, and green stars. When it’s all over, the kids have a toy sword to play with, which makes it an even better value. Don’t forget this kid favorite! Twelve neon colored smoke balls pour out clouds of colorful smoke! Perfect for daytime use when the kids get antsy waiting for the sun to set. No loud booms, just pretty colors at a pretty price! This is a giant roman candle that launches 240 shots of colorful firework “pearls” into the sky. It earns bonus points because it has a built-in plastic ground spike. Plus, this one is a favorite for kids that don’t like loud fireworks, because the Knight Stick has some soft “pops” but no loud booms. Standing at nearly a foot tall, this big summer treat is sure to be a favorite for the whole family. The colorful packaging hints at what’s inside, as this long-lasting fountain (nearly a minute and a half) features multi-color pearls, tall sprays of soft glitter sparks, and intense crackling. Looking for something unique? Jumping Jelly Beans spews out lava-like droplets in a variety of neon colors. If you liked 2017’s Mad Scientist, then you’ll love Jumping Jelly Beans. It has more colors and longer-lasting effects but still at the same low price. The blues, oranges, greens, purples, reds, and yellows last for a full minute. This effect is always a crowd favorite! Pro-Tip: If possible, elevate this fountain on a sturdy, stable surface such as a small metal table before lighting. This allows the colorful droplets to burn longer as they fall all the way to the ground, filling more of the viewing area with color and making for a better show. This 36-shot 200-gram cake from Brothers Pyrotechnics is sure to be a crowd-pleaser. Red, green, and blue tails burst into big silvery spinners in the sky. And just when you think it’s over, the final shots alternate between red and green palms with a strobing glitter effect that looks like fireflies in the sky. 500-gram cakes are fireworks shows in a box, and they’re the biggest consumer-grade firework you can buy. Each of Summer Cocktail’s 25 shots erupts with a spray of crackling stars as it travels high into the sky and then bursts into an explosion of super-bright NEON colors. A built-in finale at the end will draw cheers from the crowd. Don’t miss this one! If you are looking for a show-stopping firework that will make the neighbors put out their punks and go home, you need this 500-gram 9-Shot Plate known as the Mother of All Bombs, or M.O.A.B. Known last year as “Nuclear Sunrise,” the packaging has been given a fresh look and new name. Nine individual 3” tubes are fused together and mounted to a thick plywood base. Light the fuse and get back. (No, even farther back!) Now get ready for the largest fireworks display you’ve ever seen outside a professional show. If you love the giant gold willows you’ve seen at the professional shows, now you can have the same effect as part of your backyard show. Each shot bursts into hundreds of extremely long-lasting gold glitter trails that hang in the sky as they float downward. The last three shots are a built-in jaw-dropping finale. Save this one for the end! Bargain Hunter’s Tip: This same effect is also available in a smaller size (and smaller price) in an item called Nishiki Bomb. Keep the kids entertained while the sun is still out with Victory Celebration, a multi-shot cake that fills the daytime sky with 37 shots of parachutes! Kids love chasing parachutes as they float to the ground. Light this one in a wide-open space away from trees and buildings. Parachutes are easiest to catch in low wind conditions. More recommendations: If you’d like to see short videos of a few fireworks fountains in action before you buy one for your own driveway show, click the links below. Click here for a video of the “Lighthouse” fireworks fountain. SAFETY TIP: Never stand over an item when you light the fuse, just in case the fuse burns faster than you expect. Stay low and light from the side, leaving yourself plenty of distance to retreat after you light the fuse. 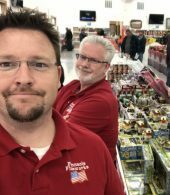 Thank you to Adam Keeley (shown at right with his dad and co-owner Todd Keeley) for his help in developing a fireworks shopping guide for local parents! If you’d like in-person shopping help (and to snag the Motherlode Mamas discount) go by Pinnacle Fireworks anytime between June 28th and July 5th. 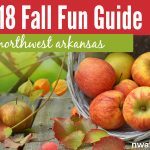 It’s located at I-49 and W Don Tyson Parkway (Exit 70), next to Walmart Neighborhood Market. 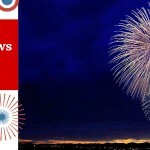 For more fireworks info, updates, special offers, videos and giveaways, follow Pinnacle Fireworks on Facebook.